Orca Canada. 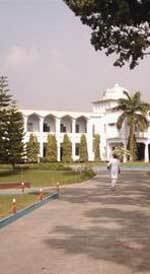 Old Rajshahi Cadets Association. Day of the Picnic and AGM is fast aproaching. Here are the details. All ORCA members with family are invited. RSVP by July 5th 2009. This will help us better manage the event. We strive to keep the cost of the meal as low as posssible. Estimated cost per person is $10. Children under 6 years are exempted. If any one interested to sponsor the entire/part of the event, you are welcome. Please contact me direct at bellow numbers. Meeting took place on forming Orca Canada. Orca Canada Votes for the constitution. © Copyright 2005. Orca Canada. All rights reserved.